Anker 18 - 9260 Serskamp +32 (0)9 369 81 85 dims@dims.beThe shop is closed on Friday 12th - 19th - 26th of April. 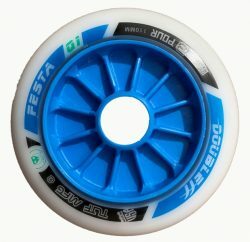 Very good wheel for short distance and for a smooth road and vesmaco. SS is a formulation of urethane for extraordinary good grip. Black/bleu print on SS wheels. 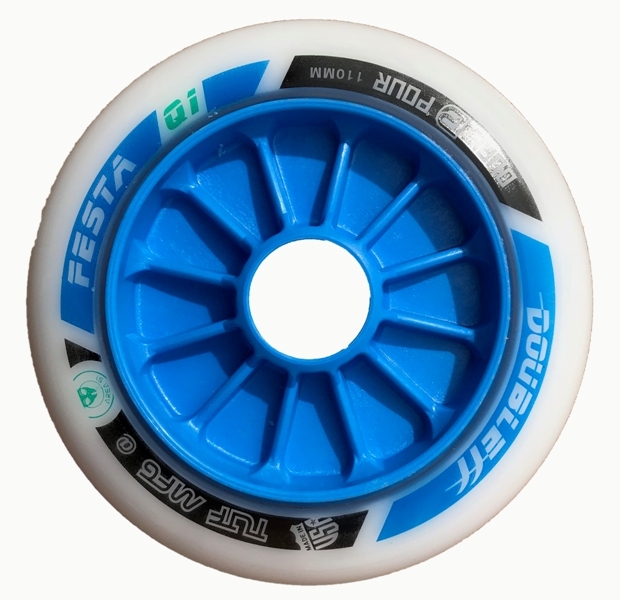 The wheels are double poured (with two layers material). The inner material is soft and the outer hard. The advantage of the double pour is that you can push harder and the wheels have a better grip and rebound.